CAS with FAO Deputy Director General Mr Daniel Gustafson. Foreign Affairs CAS Hon Ababu Namwamba today paid a courtesy visit to Mr. Daniel Gustafson, Deputy Director General of Programs at the Food and Agriculture Organization (FAO) Headquarters in Rome, Italy. Hon Ababu thanked FAO for their work in Kenya and their global contribution towards eradication of hunger, food insecurity and malnutrition. He assured the Director General of the Government’s commitment to FAO and in particular operations of the Country Office in Kenya. He delivered appreciation of the Kenya government for the support FAO has extended to the forthcoming Sustainable Blue Economy Conference in Nairobi. FAO has made a donation to the conference budget, and DDG Gustafson confirmed to CAS Ababu that the organisation would send a high level delegation to the conference. Hon Ababu urged FAO to align its programs and cooperation to the government’s big four agenda championed by President Uhuru Kenyatta that focuses attention on food and nutrition and security, manufacturing including agro-processing, universal health care and affordable housing. He further briefed DDG Gustafson on devolution and asked that FAO initiates programs to directly and actively support counties. “Devolution has transformed the development model in Kenya. Counties and the emerging regional blocks are swiftly becoming exciting magnets for investment and epicenters of growth and prosperity. I invite FAO to take advantage of this and tailor programs to work with counties especially in the areas of food and nutritional security, value chain enhancement and agri-processing”, CAS Ababu told Mr. Gustafson. FAO was established in 1945 as a specialized agency of the United Nations with focus on agriculture, nutrition and food security. It has a network of sub-offices throughout Kenya in Coast and Eastern region as well as West Pokot. “The 45th session of the Committee on World Food Security (CFS) convened 15-19 October 2018 in Rome, Italy. Established in 1974 and reformed in 2009, the CFS serves as an inclusive international and intergovernmental platform for all stakeholders to work together to ensure food security and nutrition for all. Its mandate is to coordinate a global approach to food security; promote policy convergence; support and advise countries and regions; coordinate at national and regional levels; promote accountability and share best practices; and develop a global strategic framework for food security and nutrition. 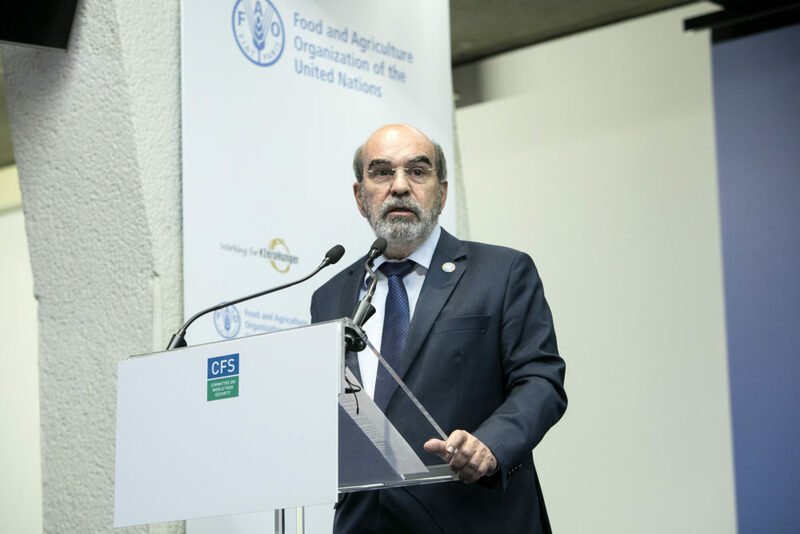 José Graziano da Silva, FAO Director-General, emphasised the need to take action on nutrition, stating that hunger would undermine the 2030 Agenda if action was not taken. He stressed the growing trend of obesity, particularly in Asia and Africa; the importance of addressing diets; the need for policies and actions at the national level; the importance of developing voluntary guidelines on food systems and nutrition; the role of rural women; the UN Decade of Family Farming 2019-2028; and the need to strengthen CFS. Photo: 5 October 2018, Rome, Italy – FAO Director-General Jose Graziano da Silva. Opening Ceremony of the 45th Session of the Committee on World Food Security (CFS 45), FAO Headquarters, (Plenary Hall). Photo credit: ©FAO/Giuseppe Carotenuto. Copyright ©FAO. David Beasley, WFP Executive Director, highlighted that 80% of the WFP’s expenditure is in war zones, stating that conflict drives hunger and makes food unaffordable, calling for a humanitarian development perspective. Cornelia Richter, IFAD Vice President, stressed the need for a more systemic approach to food systems and placed importance on scalable technologies, such as precision farming. She drew attention to a more targeted approach to development cooperation, focusing on diets, nutrition-sensitive value chains, and the role of smallholders. Patrick Caron, High Level Panel of Experts (HLPE) Steering Committee Chair, said the HLPE’s report on Multi-stakeholder Partnerships (MSPs) to finance and improve Food Security & Nutrition (FSN) in the framework of the 2030 Agenda helps promote understanding of the complementary roles, contributions and limits of collaborations with different actors. 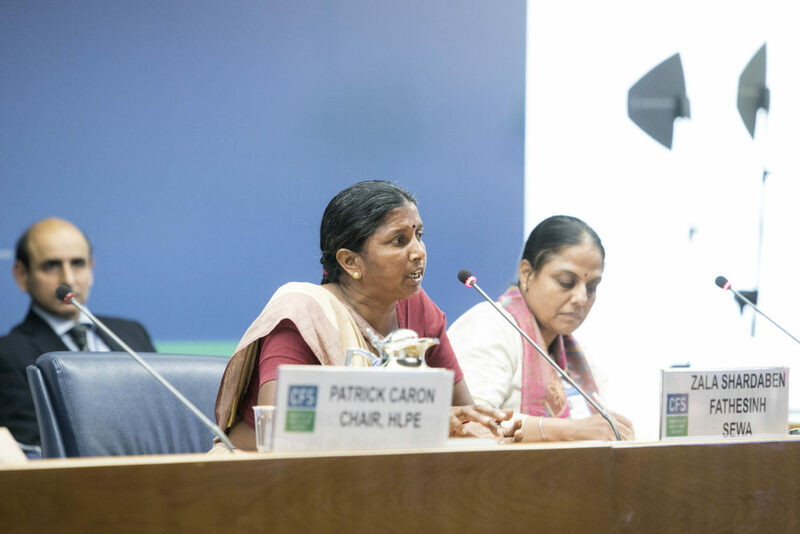 Photo: 15 October 2018, Rome, Italy – Zala Shardaben Fathesinh, small farmer and member of the Executive Committee of the Indian Self-Employed Women’s Association (SEWA). Opening Ceremony of the 45th Session of the Committee on World Food Security (CFS 45), FAO Headquarters, (Plenary Hall). ©FAO/Giuseppe Carotenuto. Copyright ©FAO. Zala Shardaben Fathesinh, Self-Employed Women’s Association (SEWA), shared the challenges and opportunities small farmers face in India and how climate change makes exploitation worse. She emphasized how training and the use of technological tools have been empowering women to deal with food insecurity challenges. In statements delivered by ministers and high-level representatives, Members outlined national policies, initiatives and success stories and offered to share knowledge and experiences. Germany said an increase in global hunger is unacceptable, because “an empty stomach knows no peace,” and announced its financial support for developing voluntary guidelines on food systems and nutrition. Thailand said tackling the double burden of malnutrition is essential to achieving the Sustainable Development Goals (SDGs). Brazil provided an update on its Bolsa Familia Programme, now administered at the regional level in combination with school feeding and other measures. Oman reported an increase in national self-sufficiency from 40% to 66% through integrated approaches across sectors. The United Arab Emirates underlined research and development, and food labelling as part of a whole-of-country food security strategy. Iraq noted that achieving the SDGs requires support from all sectors, noting his country’s challenges due to recent conflicts. The Republic of Korea outlined international research and dissemination initiatives to share the knowledge gained from ending hunger in two generations. Switzerland urged increasing resilience to climate change without stressing natural systems and livelihoods, including through integrated food systems approaches, MSPs and responsible investments. This item was addressed on Monday morning and Friday afternoon. The decision was adopted during the closing session on Friday afternoon. Final Outcome: In the report, the CFS expresses its deepest concern about the rising number of food insecure people in the world and the negative trends in hunger and malnutrition as highlighted in the ; and calls on all stakeholders to take the necessary actions to reverse these trends. South Africa emphasized gender equality, in particular women’s access to land. Sudan called for attention to small scale farmers. Delegates also discussed, among other issues, the need to pay closer attention to the definition of notions such as resilience and public goods, as well as to consider capacity development. On Monday afternoon, Kostas Stamoulis, FAO Assistant Director-General, moderated a panel discussion on the relationship between migration, agriculture and rural development. The session provided an opportunity to discuss the findings of the which focuses on migration and rural development and was launched that day. The closing session convened on Friday afternoon. CFS Secretary ad interim McGuire announced that CFS 46 will be held from 14-18 October 2019, in Rome. He noted that Argentina will replace Brazil in the Bureau. Drafting Committee Chair Antonio Sá Ricarte (Brazil) presented the report of the meeting (CFS 45 Draft Report), which was adopted without amendments. Jordan drew attention to the lack of reference in the report to food insecurity in the context of conflicts and crises. In its closing statement, CSM further emphasized the need for CFS to use a holistic approach based on human rights. Private Sector Mechanism (PSM) stressed the need for increased investment in agriculture and rural development, including MSP, and for strategies to support women and youth. 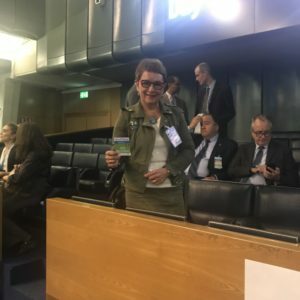 SI President Mariet Verhoef-Cohen was in attendance and presented at the event on the subject of the importance of women in the water sector, and the barriers to women in the industry. Discussing barriers in context, and exploring initiatives, Mariet looked at changes in mindset, to better empower women, and position them together with men, as innovators, decision-makers, and equal providers and drivers of water, food and economic solutions. Mariet spoke of Soroptimist International and Women for Water projects including the Mwihoko Women Project In Nakuru County, Kenya, part of the SI President’s Appeal 2017-2019, which has so far seen 24 women farmers and project managers attend a six-day residential training course at Egerton University, where they have learned the necessities of the farming business – elevating opportunities for entrepreneurialism and income generation for women and their communities. World Food Day was marked during the event at Rome’s United Nations’ Food and Agriculture Organization (FAO) on 16 October. FAO Goodwill Ambassadors for Nutrition, the King of Lesotho and Queen Letizia of Spain, joined heads of FAO and the Rome-based International Fund for Agricultural Development (IFAD) and the World Food Programme (WFP), along with other key players in discussing efforts to achieve Zero Hunger by 2030. In their speeches, King Letsie, Gilbert F. Houngo and David Beasley specifically focussed on involving Women. Identifying investment in women, agriculture for good nutrition, plus vocational training for women and the empowerment of young people as solutions”. Lead Image: 15 October 2018, Rome, Italy – Committee on World Food Security 45th Session, (CFS 45), Opening Session, FAO Headquarters, (Plenary Hall). Photo credit: ©FAO/Alessandra Benedetti. Copyright ©FAO.